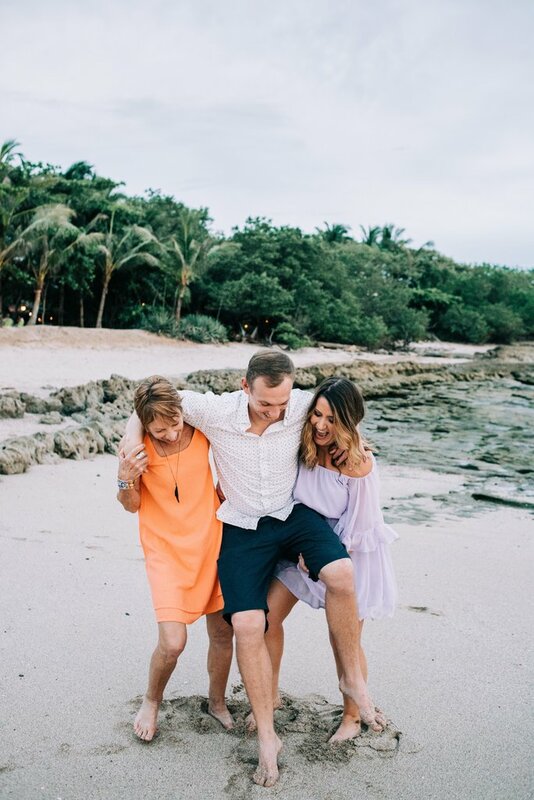 We inspire the enjoyment, fulfillment, and personal discovery of our guests through responsibly. 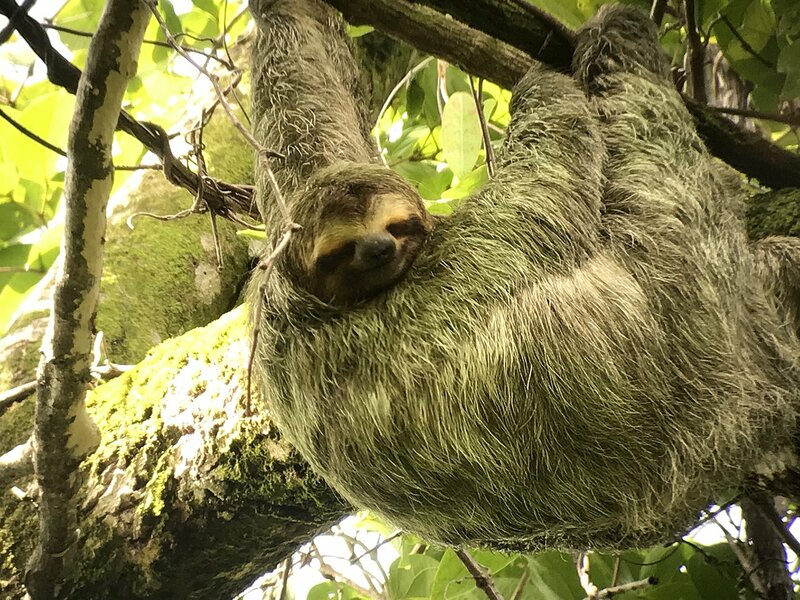 Since 1984, Costa Rica-based Horizontes Nature Tours has led many thousands of travelers to the country's most beautiful and biodiversity-rich destinations, all in the name of conservation. 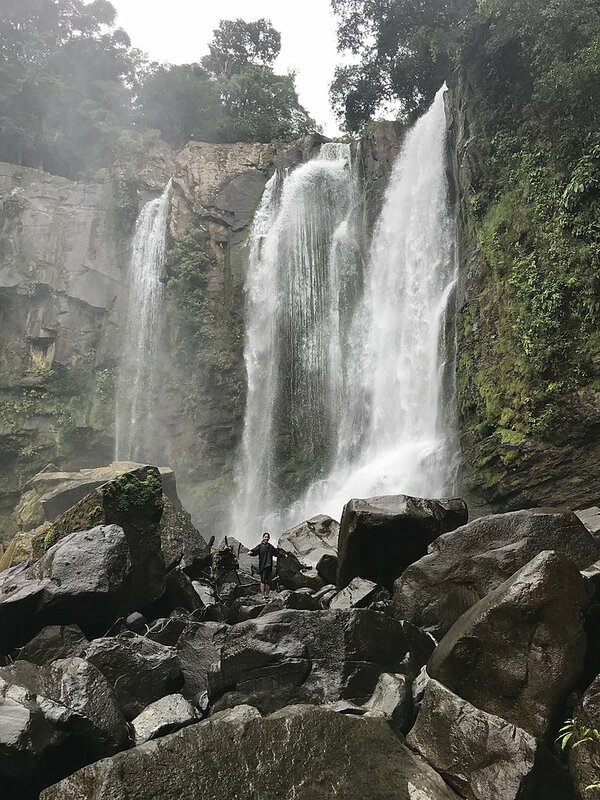 A pioneer in nature travel, Horizontes has helped create an incentive for the protection of Costa Rica's landmark national park system by encouraging small groups of travelers to visit these wild lands. Over the year's Horizontes has instituted a number of initiatives aimed at "greening" its own business and the industry. The company's philanthropic efforts have extended to community development and park projects that include the funding of national park rangers to prevent poaching, and the support of trail building, research stations, and conservation organizations. This active 11-day itinerary is designed to appeal to nature lovers and adventure fiends of every stripe. It starts on the southern Pacific coast, in the remote, Corcovado National Park. Here you'll enjoy rugged hikes abounding with wildlife-spotting opportunities. 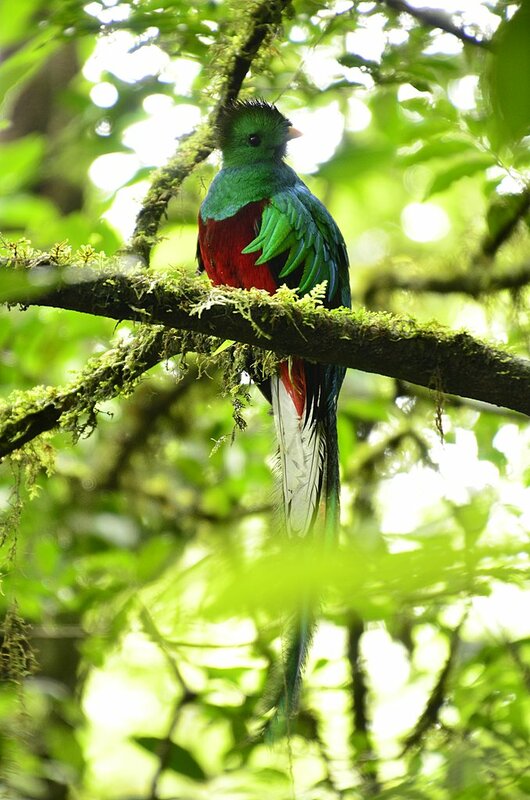 Then it's off to the north where you'll explore the misty cloud forests of Monteverde and fly over the forest canopy. After a visit to the famed Arenal Volcano, it's time for another hike, this time to the Hule Lagoon, an ancient crater lake like something out of Conan Doyle's "Lost World." 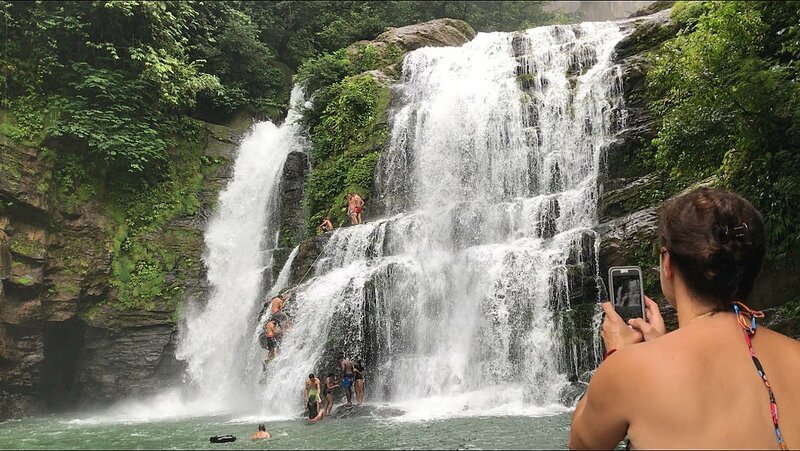 Enjoy waterfall rappelling before ending your Costa Rican adventure with a wild rafting trip down the Pacuare River. Some 25% of the total area of Costa Rica is protected. 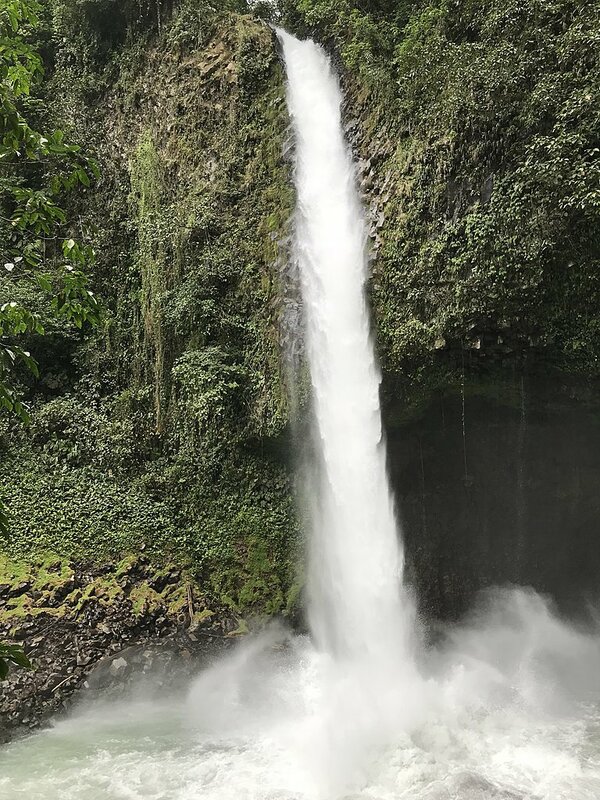 You'll see evidence of this in the country's many national parks and reserves—the goal being to ensure that Costa Rica's natural wonders and delicate eco-systems remain viable for years to come. 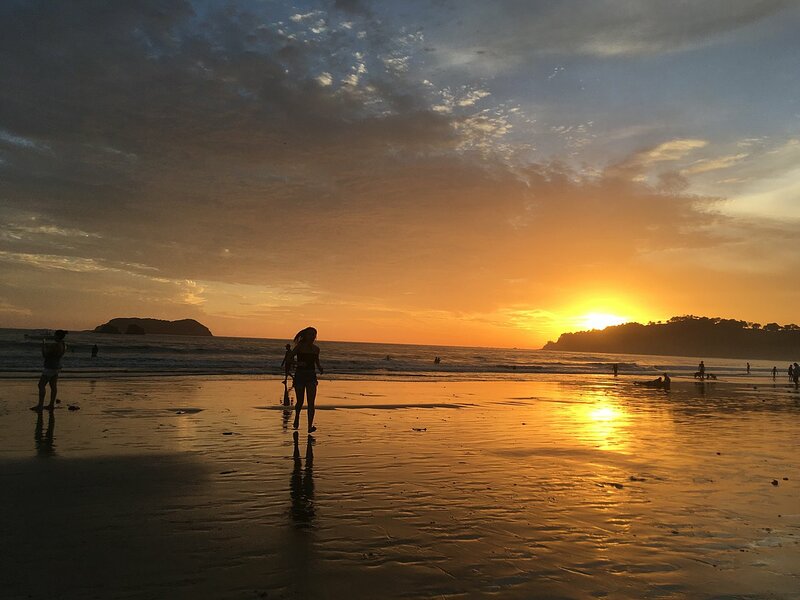 This is great for visitors such as yourself, who can luxuriate in Costa Rica's natural beauty on this immersive 9-day itinerary. Costa Rica prioritizes the protection of its abundant (and delicate) biodiversity, and national parks and reserves make up nearly a quarter of the country's land. This makes it a fabulous spot for travelers keen on experiencing outdoor activities and spotting wildlife. 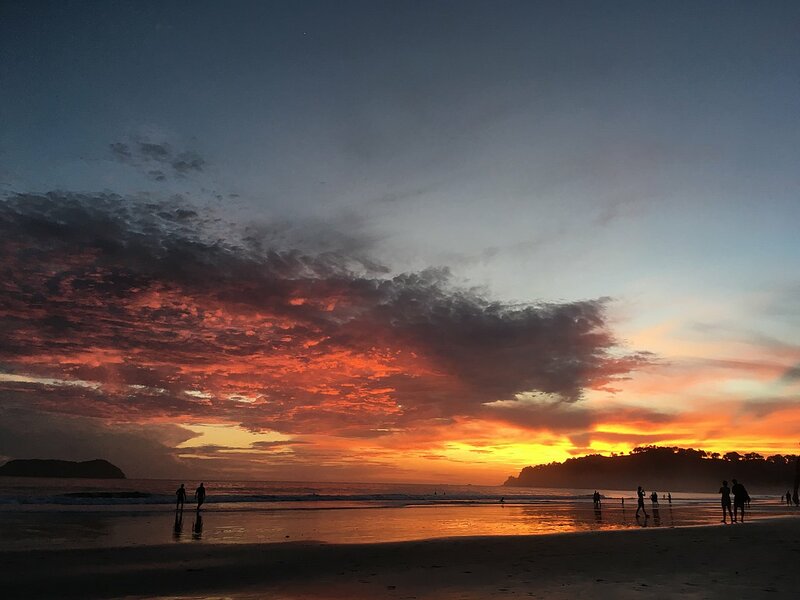 This immersive 12-day trip includes a guided nature hike in coastal Manuel Antonio National Park, birdwatching and zip-lining in the Monteverde Could Forest Reserve, and aquatic fun in the estuaries of Tamarindo. Time to hit the open road and enjoy the wonders of Costa Rica on this 11-day self-drive tour. 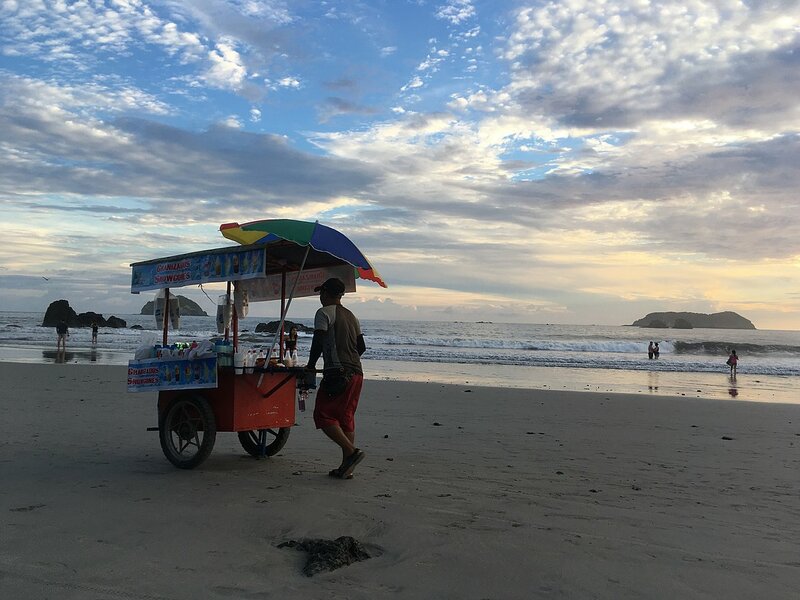 Your adventure begins on the Pacific beaches of Tamarindo and Nosara, both gems of Costa Rica's Guanacaste Province. On top of exploring and surfing these beaches, you'll make pit stops in coastal villages and glean insight into the local culture. Continue your journey eastward to the towering Arenal Volcano. Here you will soak in natural hot springs and brave whitewater rapids on a rafting trip. This high-octane trip is designed to get your adrenaline pumping as you take on some of the best adventure activities Costa Rica has to offer. You'll see the country's rainforests, volcanoes, and beaches, and encounter tropical wildlife as you take part in a variety of thrilling activities. From whitewater rafting through the rainforest to biking around a volcano to zip-lining down a mountain, this exhilarating itinerary is sure to make for an unforgettable experience. Sylvia and her team were Absolutely Fabulous Putting up with me when I was feeling anxious and my big suitcase BRILLIANT!!!! 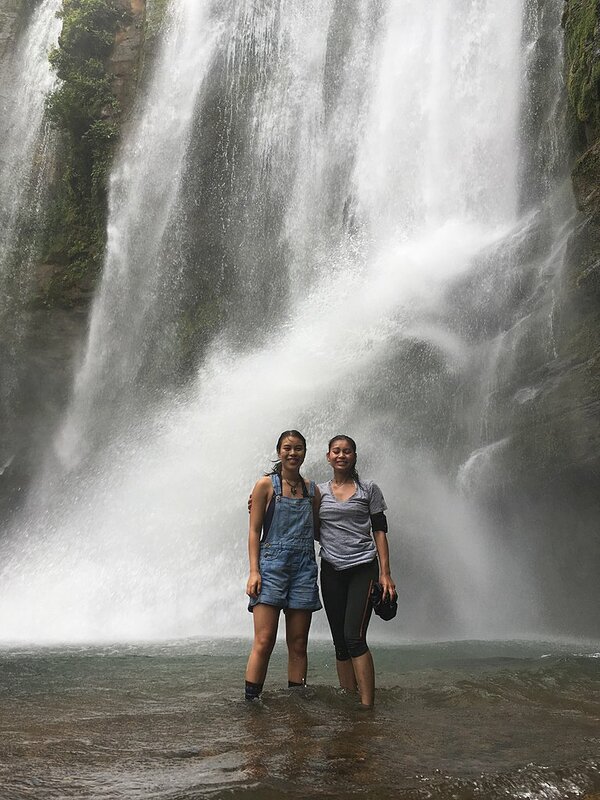 Glad to know that you had a fabulous trip in Costa Rica and hope that you can return and explore other destinations in near future! 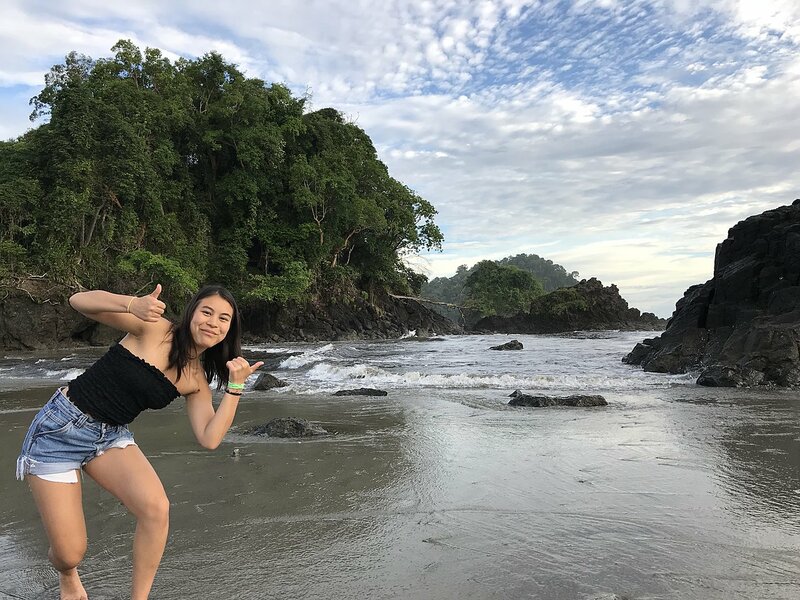 When my family decided we wanted to visit Costa Rica we were at lost to where to go and what to do until we discovered kimkim and decided to try it out after reading some very positive reviews. 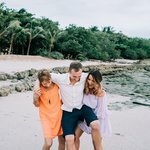 It was a great tool to use and it made paying for our trip very easy and I plan to use it again for future travel as it really is a great way to connect with a local expert in the country you plan to visit. They do not bombard you with tons of emails and when they send email they have some very interesting ideas for travel in unique places. Sylvia with Horizontes Travel was our Costa Rica specialist and she was able to craft an amazing trip four our family. She patiently worked with us until we had an itinerary that was what we wanted. 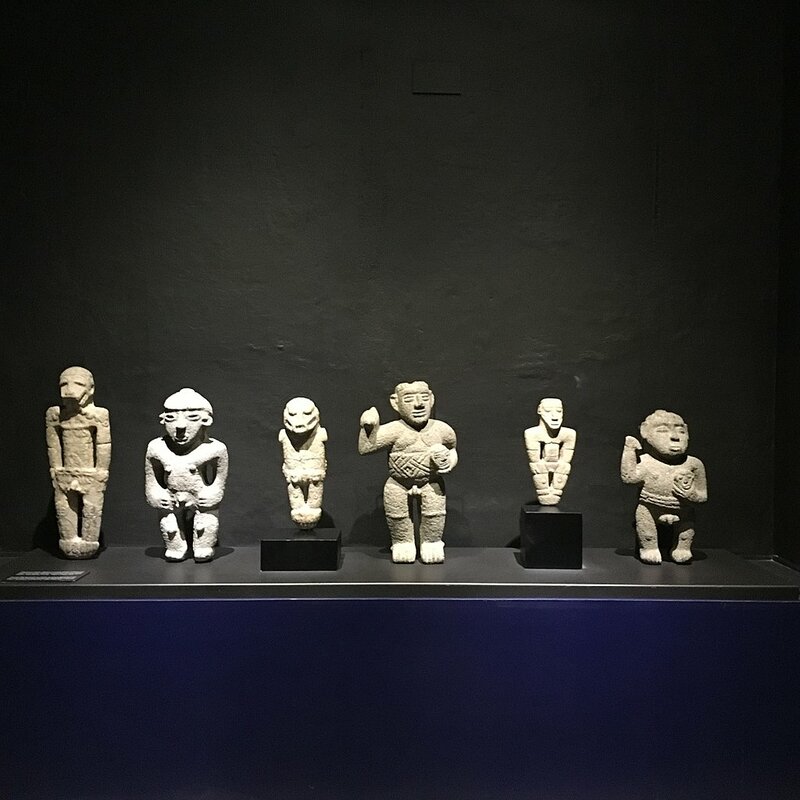 She also called us a few days into our trip to make sure everything was ok and we had contact information to call Horizontes if we needed anything. There was a little problem with an incorrect pick-up time and Horizontes paid for our supper one night. 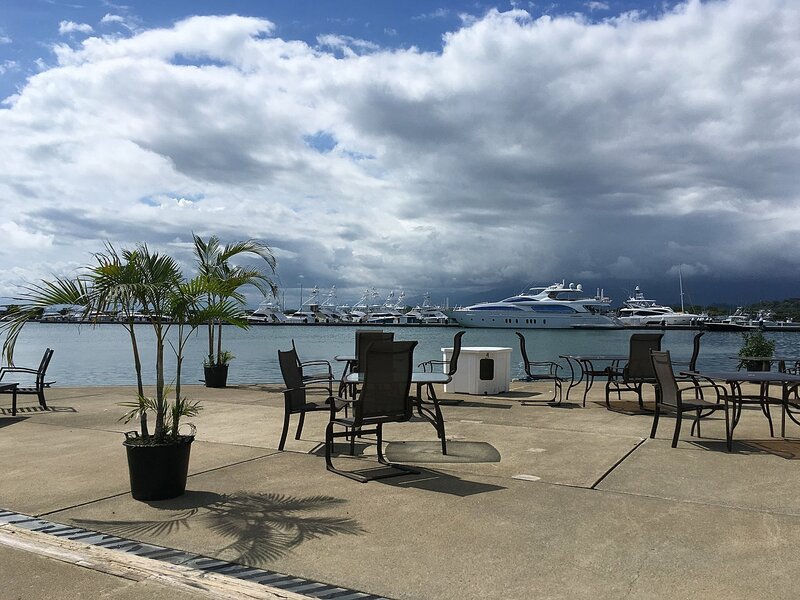 Having not used kimkim and an out of country specialist we were a little nervous but from the time we arrived in Costa Rica we were blown away by the custom trip and we felt like royalty from the moment we arrived at the Liberia airport. 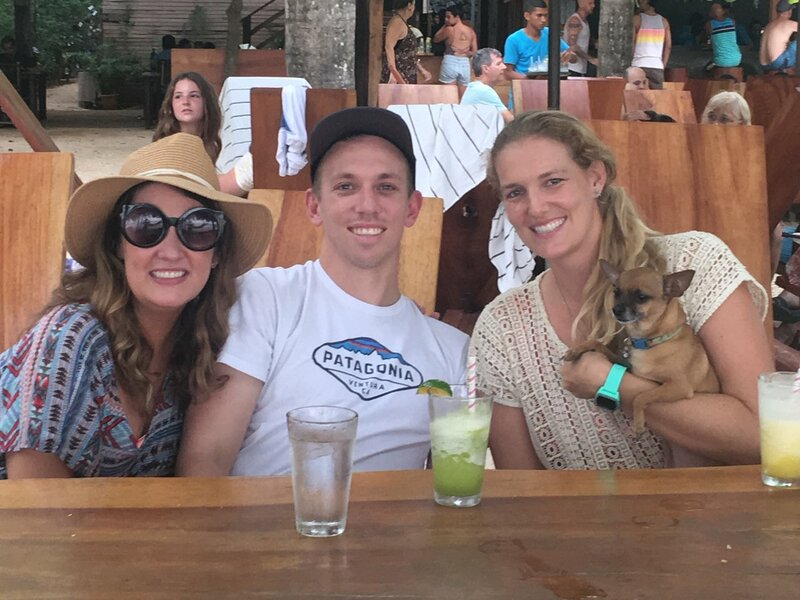 We were greeted by a company representative who took us to our private transport with a welcome package and snacks and drinks for our voyage to Monteverde and the Fonda Vela Hotel which had a great buffet village and stunning views looking down to the gulf of Nicoya. 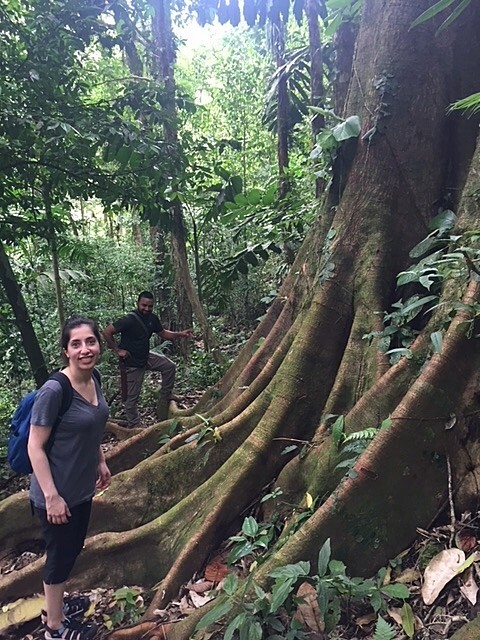 The personal guided walk through the Children's Eternal Rainforest was very good and our guide Marcella with Ocotea tours was very knowledgable and we managed to see and learn about many of the cloud forest treasures. 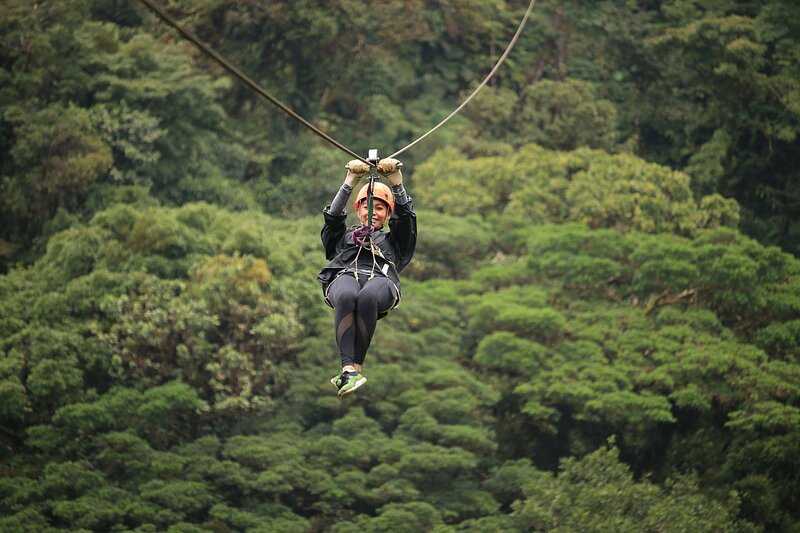 Another highlight was zip lining and the hanging bridges through the cloud forest with Sky Adventures. Next we went to Manuel Antonino and stayed at the Costa Verde Hotel with outstanding views of the national park and its beaches. 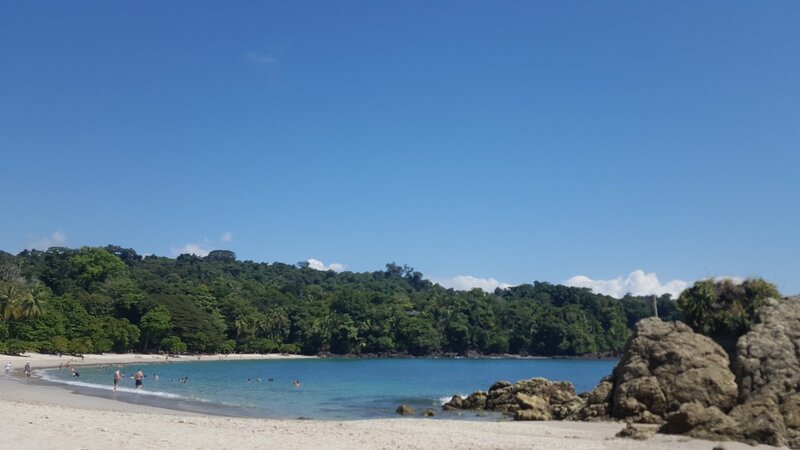 We had a fantastic guided tour of Manuel Antonio park with Iguana Tours and our guide Andry was absolutely amazing, his passion for his work and skill for finding wildlife and talking up the treasures was awesome. 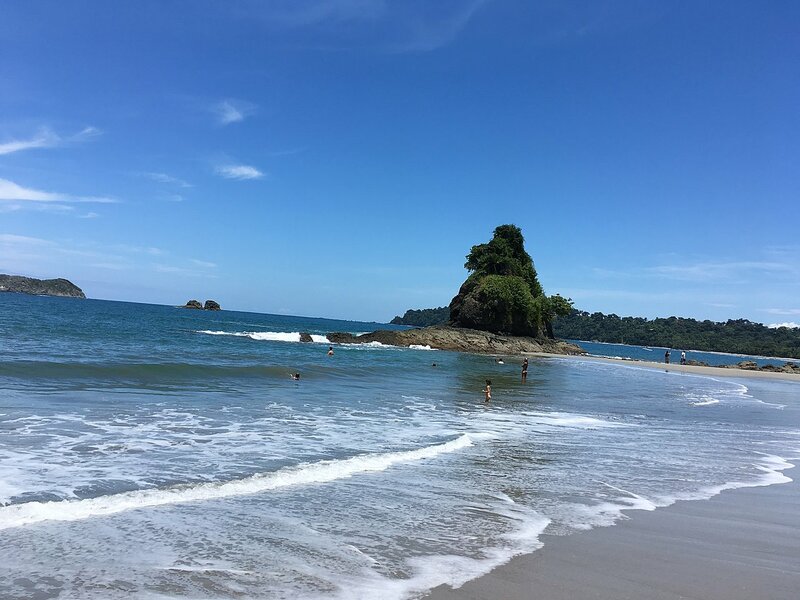 From Manuel Antonio we went to Arenal La Fortuna and stayed at the Arenal Manoa Hotel. 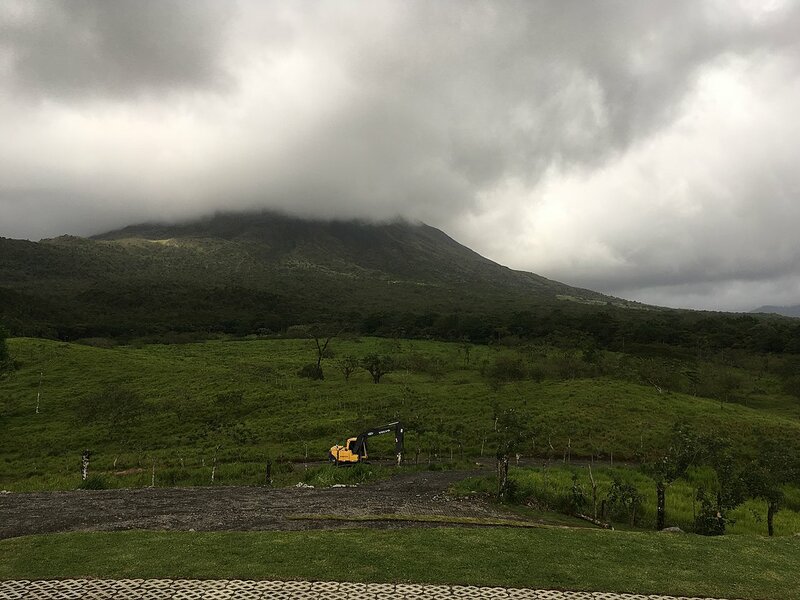 A little isolating location if you didn't have your own vehicle but views of the Arenal Volcano were amazing and the grounds of the hotel were gorgeous. Highlights were to the Rainforest Chocolate experience and the guide Chapo was very funny and informative. Rafting the Balsa river with Wave rafting and our boat guide Horacio was very fun afternoon and a highlight. Canyoning with PureTrek canyoning was excellent and the staff helped my youngest daughter calm her fears of rappelling so that she had a fantastic time. 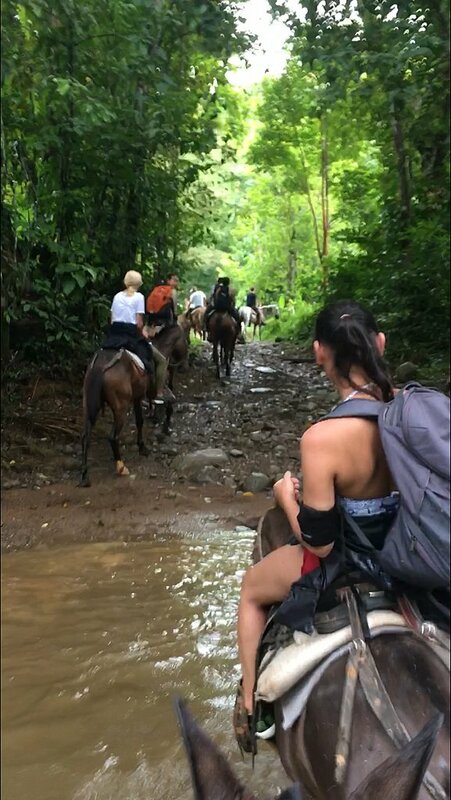 We went to Rincon de la Vieja and stayed at the Hacienda Guachipelin and we did the 1 day adventure pass with horse back riding, river tubing, zip lining a canyon and finishing with a soak in volcanic hot springs. The staff for the adventure were excellent and we had guided tour of butterfly gardens and serpentarium. 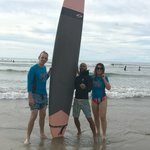 We capped off our 20 day visit to Costa Rica at the fantastic Tamarindo beach and stayed at the amazing Tamarindo Diria Beach resort. All of our transportation to the different areas we visited were with very safe and conscientious drivers. The transportation was always on time. The vehicles were spotlessly clean and the drivers would usually point out points of interest and stop when asked. Rene from Jacamar Naturalist Tours was a great ambassador for Costa Rica explaining interesting things about Guanacaste province and life in Costa Rica. 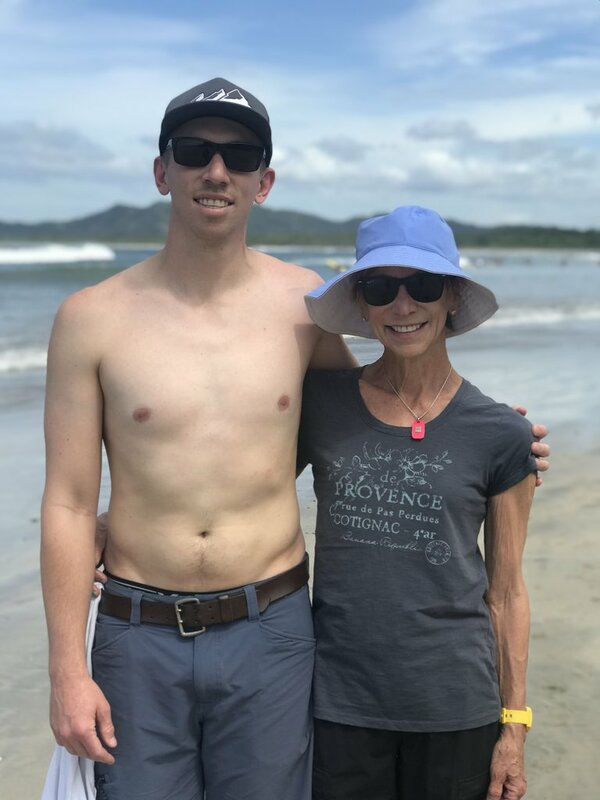 We thoroughly enjoyed our trip to Costa Rica and we couldn't be happier with the personalized trip that Sylvia created for us and I would highly recommend her to anyone looking to travel to Costa Rica and I am trying to get my parents to plan a trip through her for next year. Thank you so much for your detailed feedback and feel VERY happy to learn that your family enjoyed all the activities and the suggested hotels where you stayed during your trip! I would love to assist you with your parent´s trip in a near future! Thank you so much kimkim for connecting us with Sylvia. 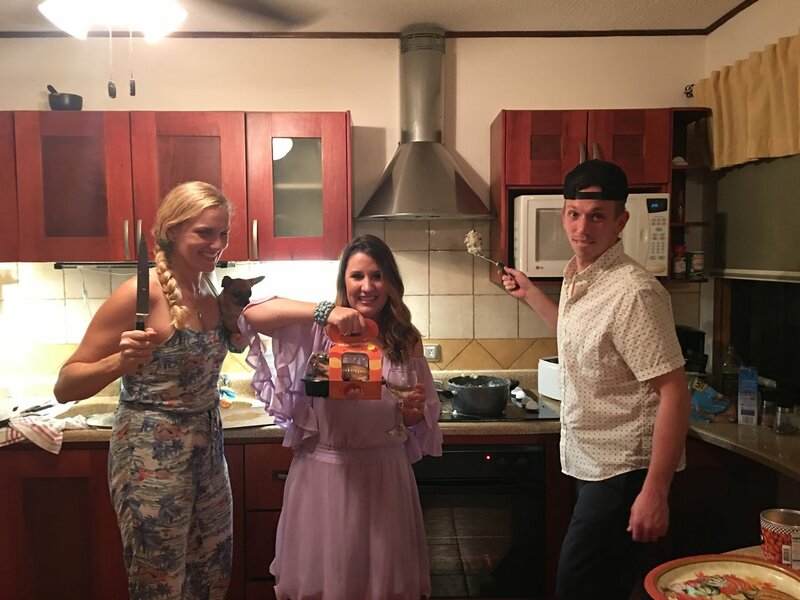 She helped us put together a magical adventure in Costa Rica. It really was the trip of a lifetime with my son and daughter-in-law. With Sylvia's guidance we had a diverse itinerary chock full of adventure that immersed us in the beauty and culture of this most amazing country. Sylvia was very responsive on the kimkim platform and arranged for several phone conferences during our planning stages. 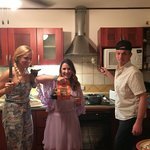 She listened to our preferences and several times we tweaked and fine tuned the itinerary to get the experience we wanted. When we were "in country" she was available to help us with any issues that arose. We enjoyed private transport the entire trip, and the drivers and ALL the guides were friendly and extremely knowledgeable. 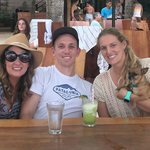 Pura Vida!! 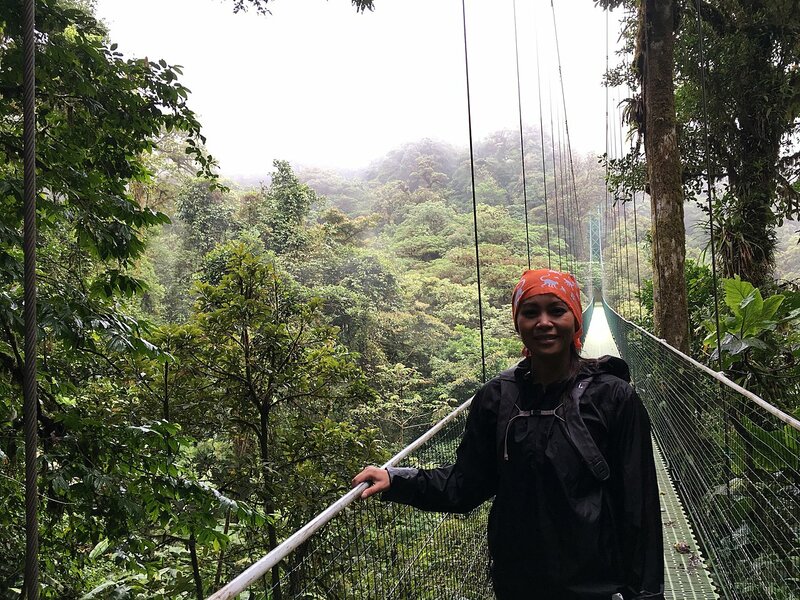 Thank you so much for your trip review and so happy to know that you enjoyed a magical adventure in Costa Rica! 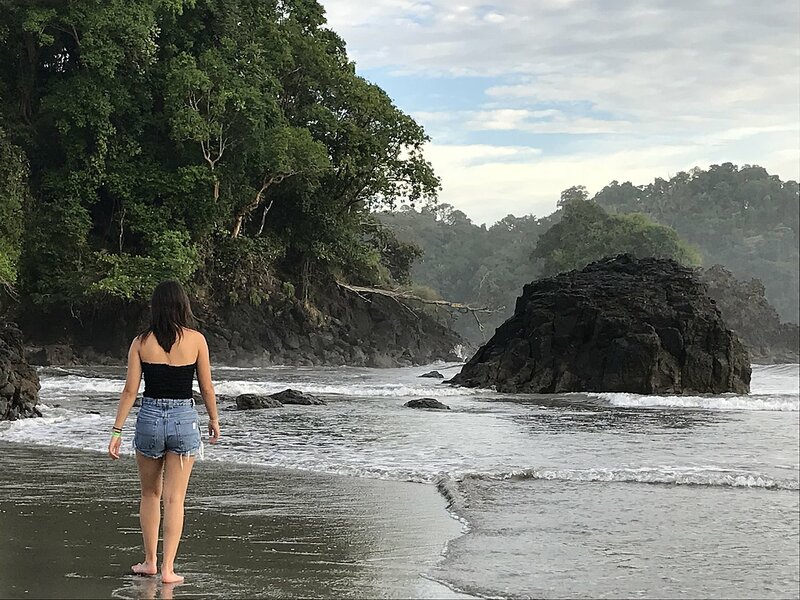 We hope that you can re-schedule soon another trip to our country and explore the amazing Tortuguero, Manuel Antonio and Corcovado National park with are also magical destinations! I couldn't be happier with my experience. Sylvia is great to work with and helped me plan my perfect trip. I looked at a few of the ready made trips on Kim Kim to get an idea of what I wanted. Then I reached out to Sylvia. We set up a phone call. She offered suggestions and I told her what I was interested in doing. We had a few back and forths before we settled on my ideal itinerary. The whole thing was super easy! Before we left: We had a flight change and Sylvia was able to make a few adjustments to our trip. Again, all seamless on my end. We were also provided a detailed itinerary which included recommended items to bring each event. Things were great from the moment we arrived in Costa Rica. Someone met us at arrivals and explained our transportation to our hotel. Sylvia, and Horizontes, arranged all of our transportation to each different city. We decided on doing quite a few tours and all we had to do was be at a designated spot at a specific time. We did canyoning, hot springs, hiking, nature walks sky walk and a coffee tour. Everyone was so nice and helpful and all of the guides were extremely knowledgeable. Also, everyone was punctual so we never had to wait and wonder where our ride was. While in country, we had a WhatsApp phone number we could text 24/7 in case we had any questions. This is great because our phone service wasn't reliable all the time. Responses were always very timely. Horizontes even arranged for our original driver from the airport to be our final driver back to the airport. It was a nice touch. Things I would do differently - I'll start by saying this trip is EXACTLY what I asked for. This is my first time using a travel agent and I didn't think to ask some questions. So this is more for anyone else who is a first timer. One hike, which I specifically requested, was about 1.5 hours from town so it made for a long day. The hike was beautiful, but we probably wouldn't have done it if we knew we'd be in a vehicle for 3 hours. Next time, I'll ask about time and distance. The only other thing I'd probably request is a range of hotels. Again, we got exactly what we asked for but next time I'll ask to see one in each category. 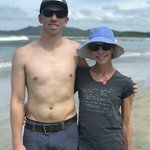 I would definitely recommend Sylvia to anybody looking to plan their Costa Rica trip. Muchas gracias!! For your nice review for your trip. Please let me know when you receive your jacket! My daughter and I very much enjoyed the trip planned for us by Sylvia which met our interests and our budget. All of the tours were great (cacao farm, waterfall, hanging bridges) and the guides and drivers were excellent. Despite a bit of traffic noise, we also appreciated the lovely views at each of our accommodations. 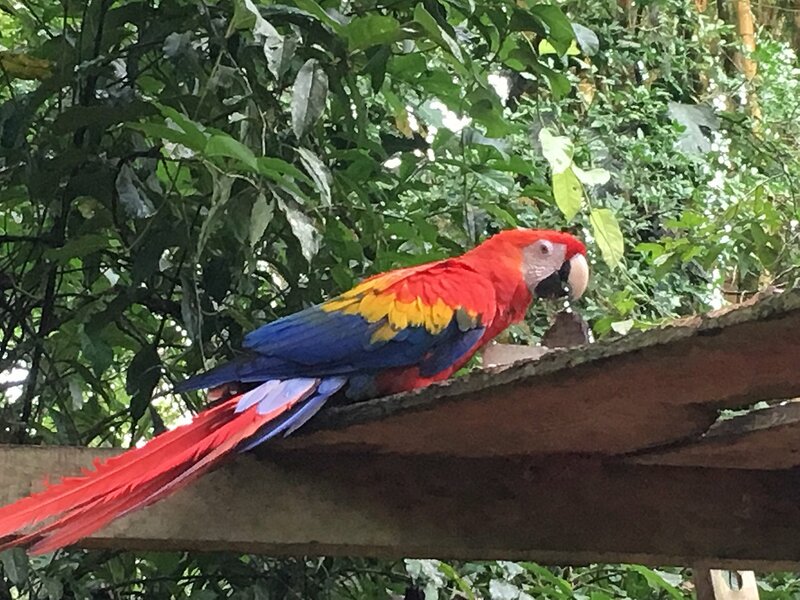 At our first resort near La Fortuna, we had a direct view of the Arenal Volcano, lush vegetation and colourful birds from the patio of our cabina. 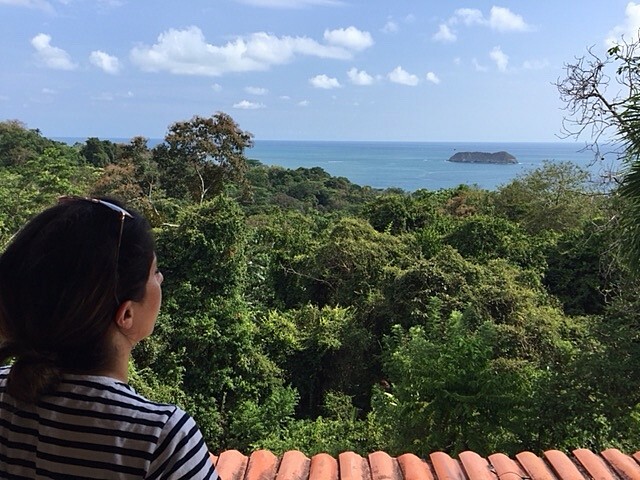 At our second resort in Tamarindo, we had a beautiful view of palm trees, the beach and the Pacific Ocean from the balcony of our low rise hotel. The staff we met at each resort were terrific and we spent many enjoyable moments chatting with them. 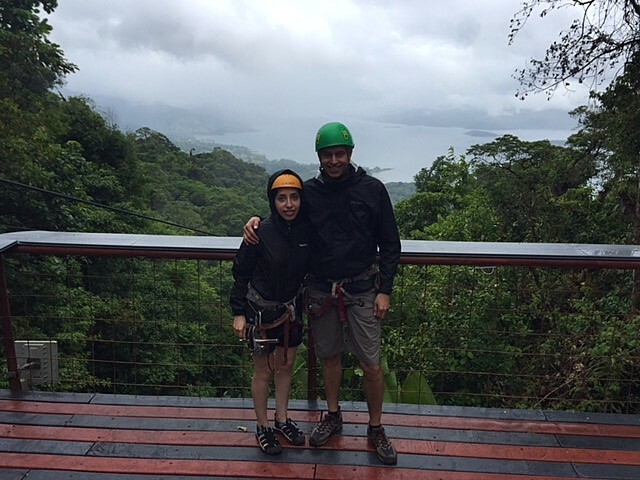 Thank you so much for your review and happy to learn that you had a great time in Costa Rica! Now you have to come back in a near future and explore other amazing destinations that you were not able to discover during this trip! This was our first trip using the KimKim service, which I found through online research. Overall the tools were easy to use and the communication worked great and without problems. I would recommend it and will use it again. Our trip in country was planned by Sylvia and she did an outstanding job. 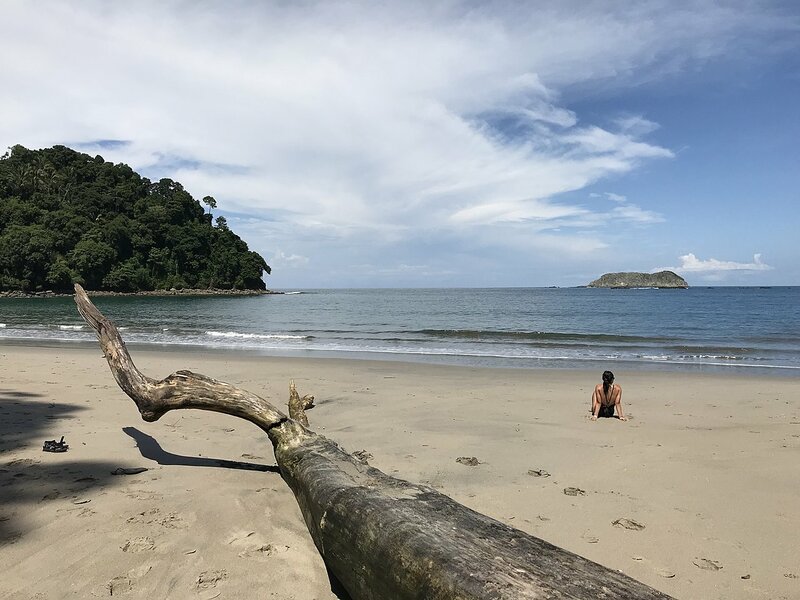 We stayed 1 night in San Jose, then due to some Caribbean storms, she did a quick switch for us from Tortugero to Rancho Humo on the Nicoya Peninsula. We stayed there 2 nights and then went to Arenal for 3 nights, Monteverde for 3 nights and then 6 nights at the Westin n Playa Conchal. We did not want to be part of a large tour group, so Sylvia arranged for us to have our own transportation, drivers and tour guides for every part of the trip including 8 or 9 excursions which she did a great job with the planning. Every part of it went flawlessly and she even arranged to have a birthday cake delivered in Monteverde for our nephew who was turning 12! 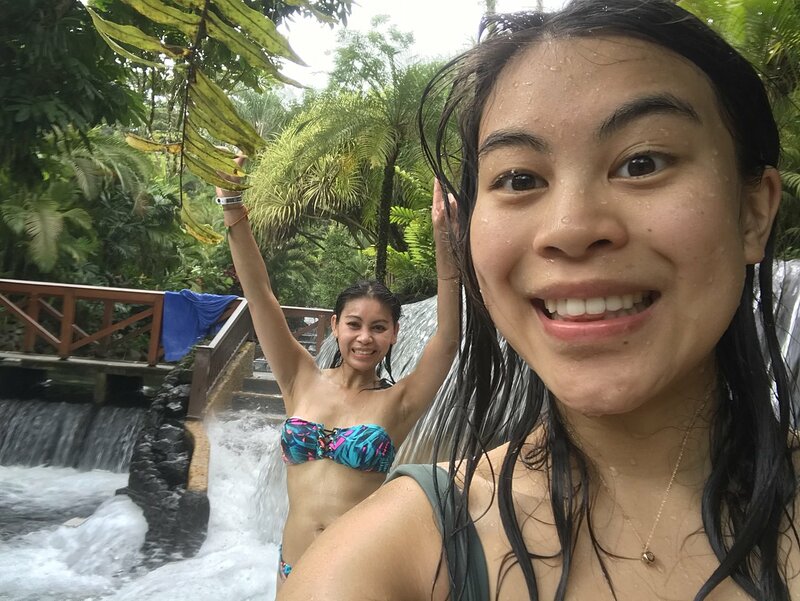 Every hotel met our expectations (Rancho Humo, Arena Manoa, La FondaVela, and the Westin) and we all felt that all the excursions were worth it and helped us learn more about Costa Rica. I would highly recommend Sylvia. Thank you Gail for such a great trip review! 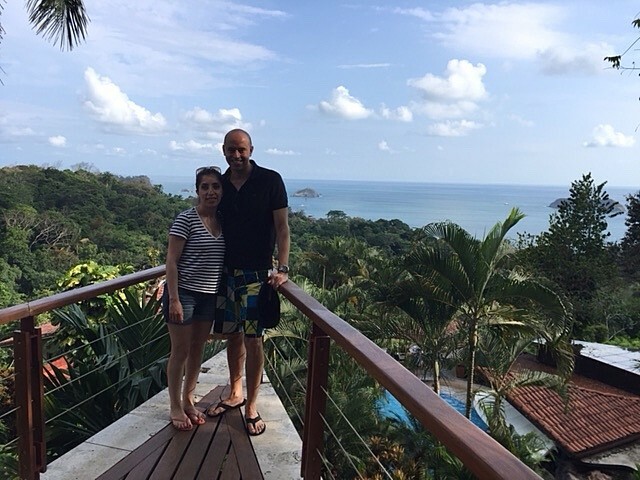 I am so happy that your family enjoyed your trip to Costa Rica and glad that you liked your stay at Rancho Humo! Luke´s cake was specially made for him as willing something different! Sylvia is amazing! She is pleasant and easy to work with. We missed our flight and Sylvia rearranged pick-up and transfers from the airport with no fuss. She surprised us with a last minutes city tour of San Jose and dinner at Tiquicia Restaurant. The view of central valley from Tiquicia Restaurant was spectacular! It is truly a million-dollar view. The food was delicious and the traditional dance was fantastic. 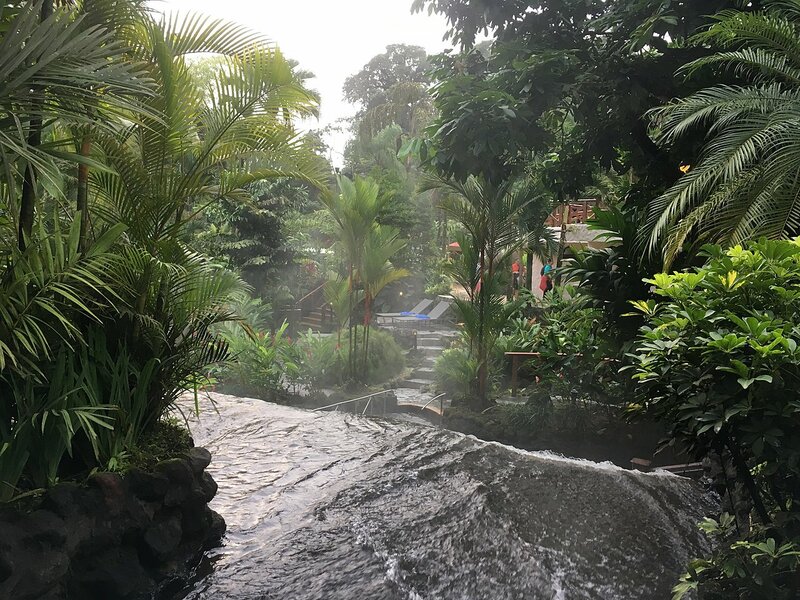 Tabacon Resort , all I can I say is " Wow, wow, and wow " It is a thermal paradise! All of the staffs at the resort were wonderful. Do not miss this place. Monteverde Cloud Forest - what an incredible place. I felt like I was in the movie Avatar. 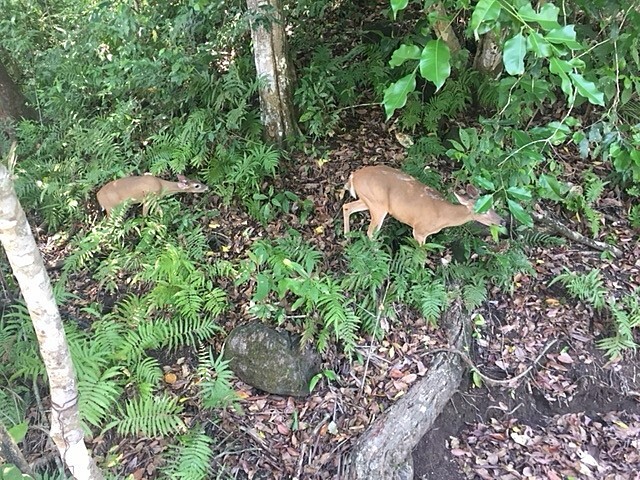 I saw so many wildlife - incredible experience. The sky walk, sky tram , and the zip lining was unbelievable. We had so much fun! 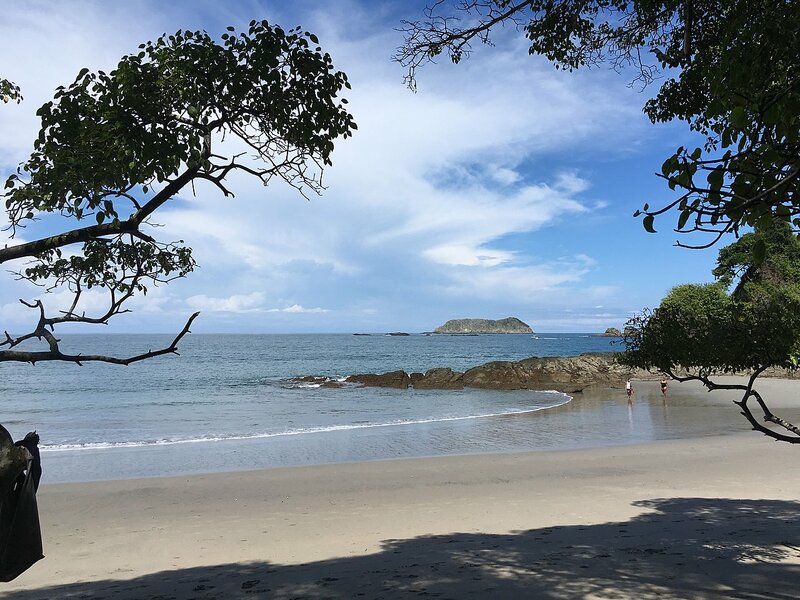 Manuel Antonio Nation Park - stunning park with amazing beaches. I'm so happy we did a guided tour of the park; otherwise, we would have missed out on the beautiful wildlife like the Sloth, rainbow grasshopper, and the colorful birds. 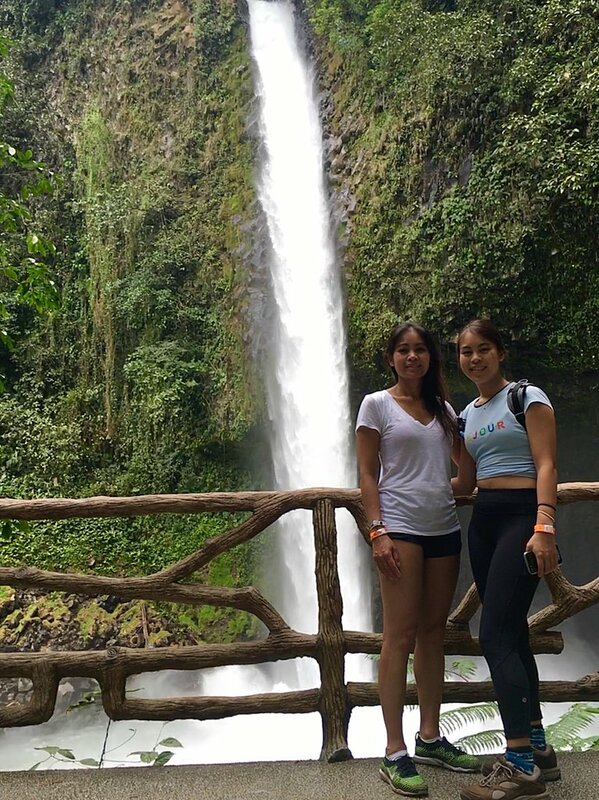 My daughter and I had an amazing time in Costa Rica. Thank you Sylvia . 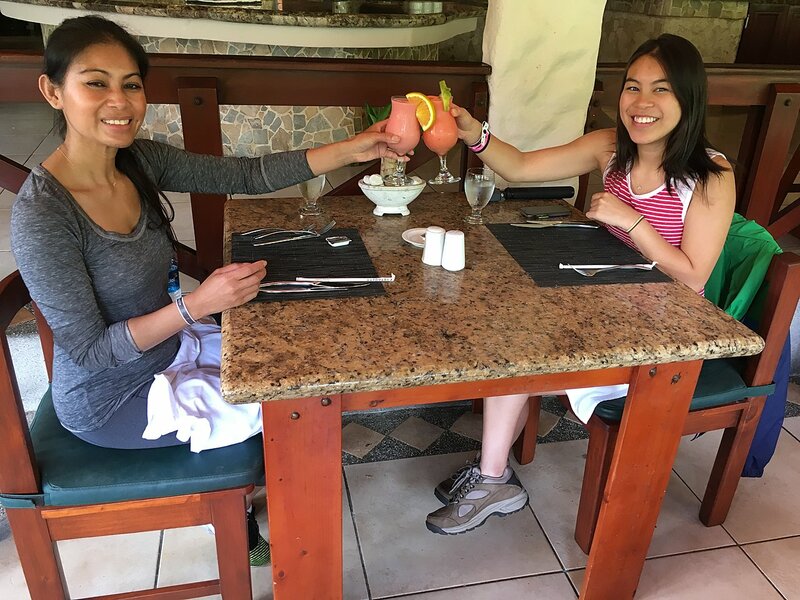 I am so excited to learn that you and your daughter enjoyed a fantastic vacation and loved the visit to Tiquicia Restaurant! 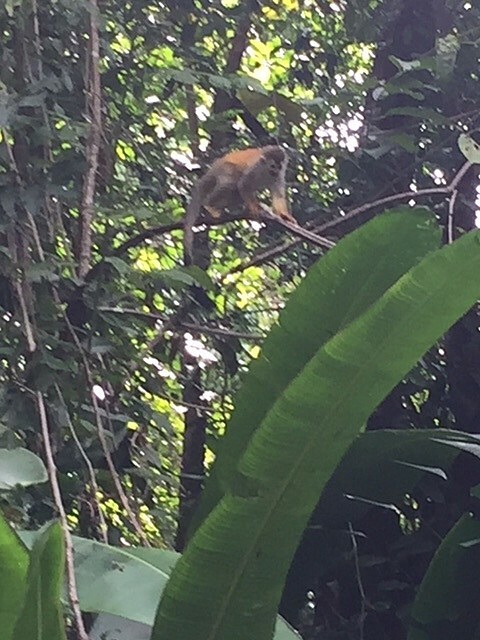 Also glad to know that you decided to upgrade your stay at Tabacon! I also enjoyed meeting you during the whole planning stage! Big hug and Pura Vida!! •	The first very rainy boat trip through the rainforest to Laguna Lodge, with Clarence taking good care of us throughout. 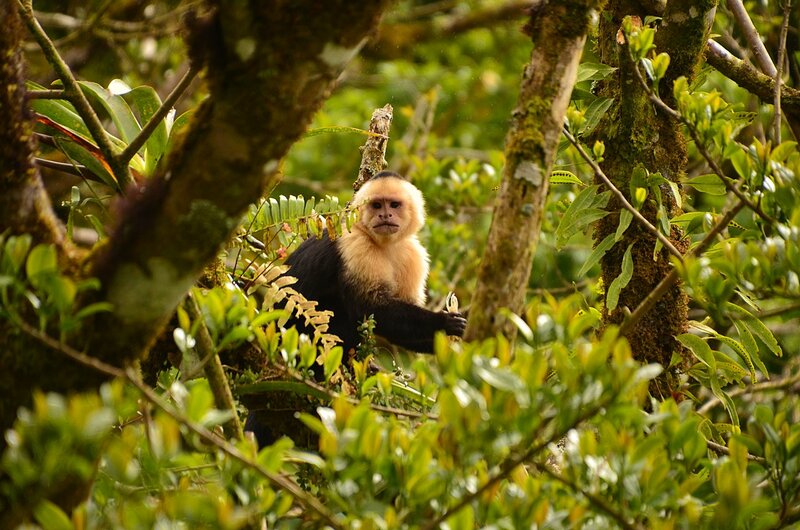 •	Everything about Monteverde - the night walk and Sky Trek/zip-lining day particularly. It's a very special place. We had a nice meal at the popular Tree House in Santa Elena if you need a recommendation for anyone else (although some other tourists spoke highly of Morpho which has just opened up a new restaurant slightly out of the centre). 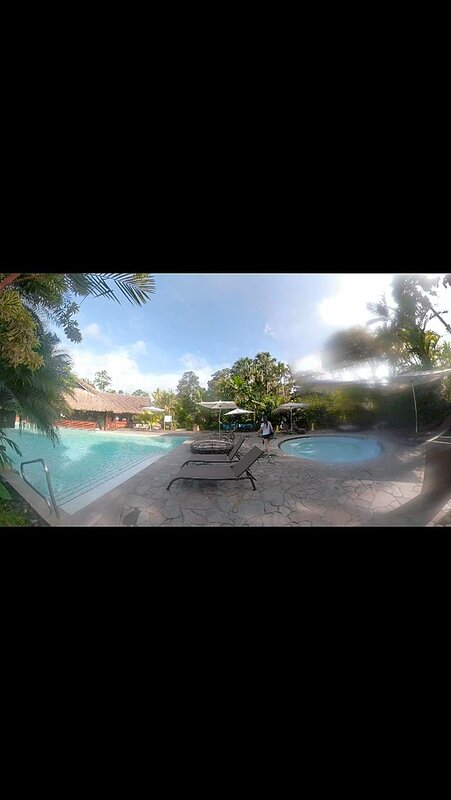 •	The Costa Verde hotel at Manuel Antonio which was fantastic in every way. What a view for breakfast! Their restaurants across the road were great too. 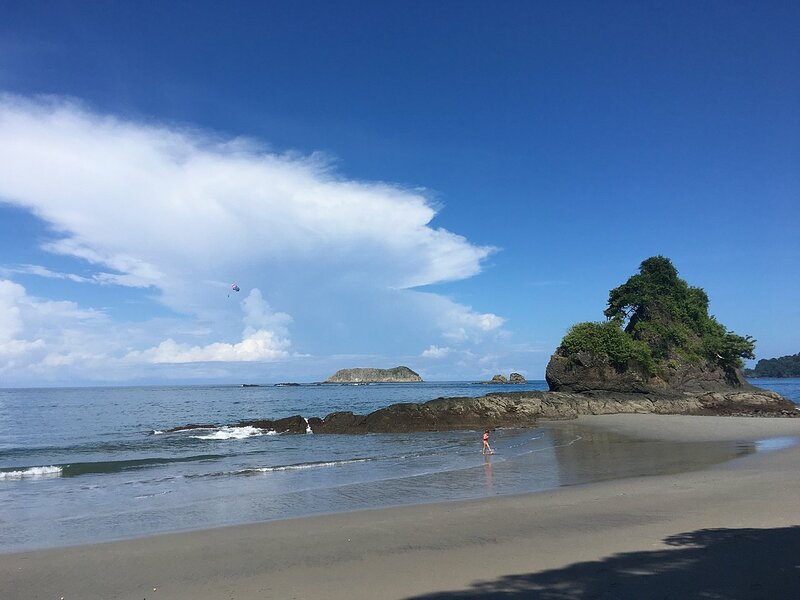 •	Iguana Tours were brilliant at Manuel Antonio. They seem to really enjoy what they do. Andrey was our guide in Manuel Antonio National Park and JJ led the rafting expedition. We also went on a boat trip with Iguana.They own their own smallish catamaran and looked after us really well. Good food. Live banjo music. And we even saw whales. Sylvia worked with us to create a perfect trip that met our specific requests and budget. She was very responsive and checked in with us before the trip and a couple of times during it. Our flight in was delayed by 14 hours and Sylvia rearranged pick-up and transfers from the airport with no fuss. I am so glad that you had a great family vacation and that it fullfilled your trip expectations! 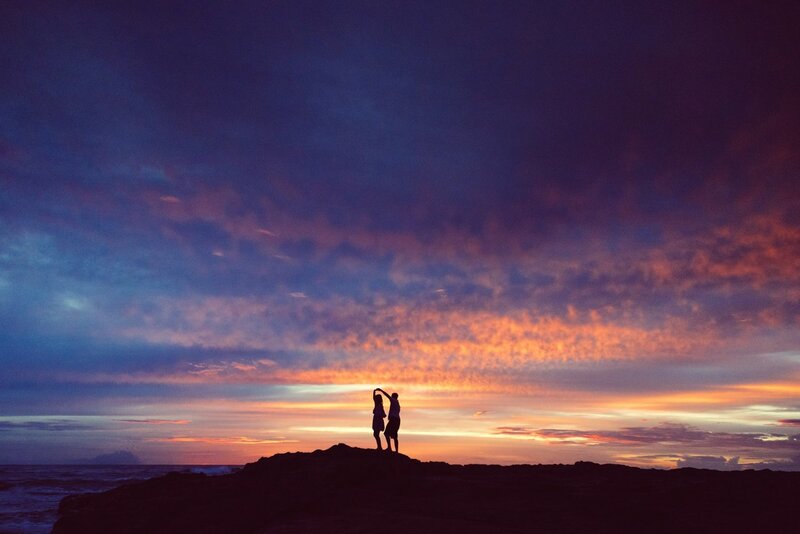 Your comments are the best reward to continue in the travel business creating memorable moments! Thank you Gaelle and glad to know that you liked the hotels included in your trip plan! Thank you Bernard for your trip review and glad to know that you are satisfied with my services! I spoke with Mauricio your driver and told me that you were able to enjoy a drink at Villa Caletas during sunset! Hope that you can visit us again and explore other amazing destinations for a short escapade! 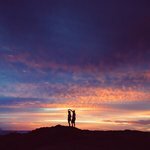 My girlfriend and I booked a week's vacation in Costa Rica through Sylvia. It was super easy and Sylvia customized a great trip for us! We flew into San Jose from Toronto on April 14 and spent time in 3 spots - San Jose, Arenal and Manuel Antonio. It was an amazing experience and I felt like we had 3 vacations in one! Everything including the transfers, hotels and excursions was organized and we just had to turn up! Our guides were all fun, knowledgeable and gave us an exciting and authentic experience. Our transfers were generally private so trips were relaxing and we got a lot of history enroute. 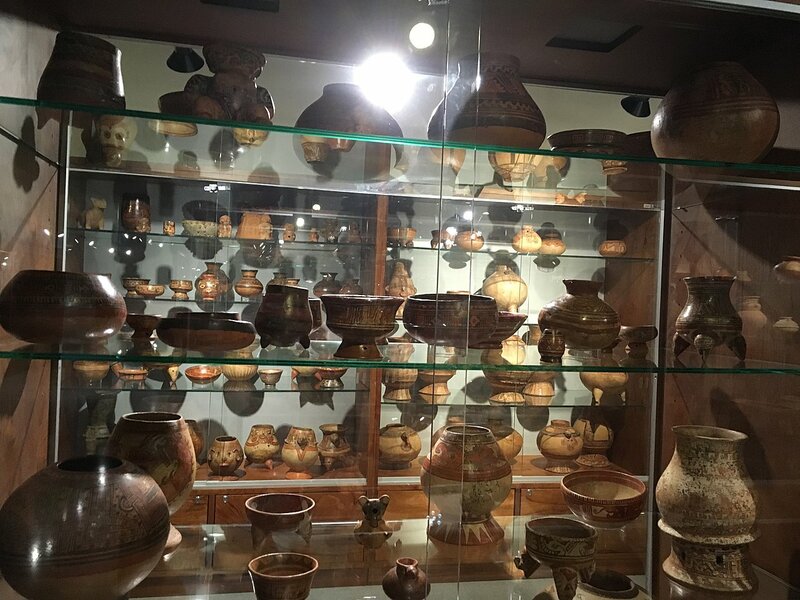 The cultural city tour with Abelardo was fascinating. We really enjoyed the National Museum and National Theatre. Arenal was gorgeous and our juniors suite has an incredible view of the volcano (thanks Sylvia). We had a little hiccup with the ziplining/hanging bridges excursion, and missed our transfer. Sylvia and Kimkim stepped up and covered the taxi to get us there and we had an awesome day. 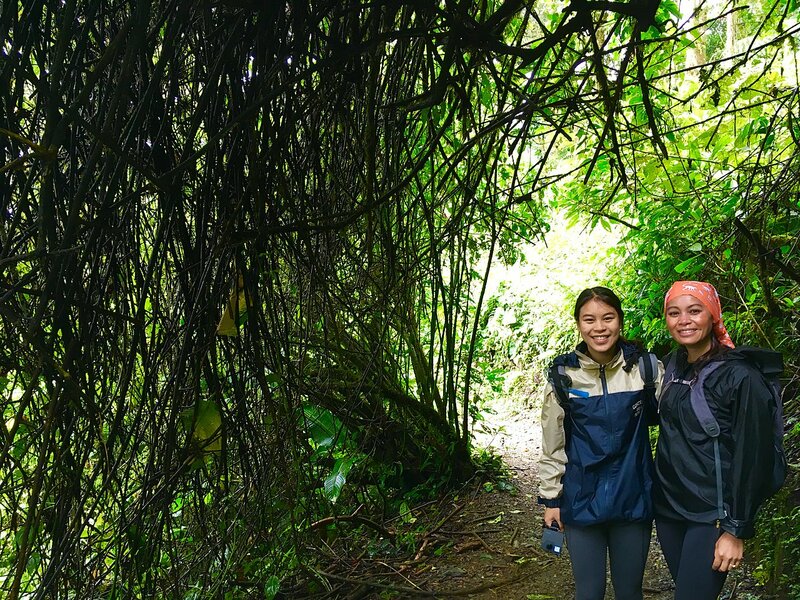 The intense hike trekking through the rainforest down the crater of an extinct volcano was incredible. The crater was heavily forested and had 3 lagoons in it. I swam in 2 of them and was the only person in the water! It felt like we had the whole place to ourselves! This was finished off with a traditional lunch at a Costa Rican family's home with spectacular views of the rainforest. Our guide Andreas was amazing and pointed out wildlife as we went along. The vacation was capped off with a private tour of a coffee plantation - yet another highlight! There's lots more to tell, but you're gonna have to discover Costa Rica yourself. This was one of the best vacations I've ever had, and I've travelled extensively. I would recommend both Costa Rica and Kimkim! Special thanks to Sylvia for arranging this fabulous vacation! Thank you so much for your kind message and happy to learn that you felt like if you had enjoyed 3 vacations in one! Also, for sharing your pictures and that you were pleased with hotels suggested ! Hope that you can visit us in a near future and explore other destinations! Great trip! 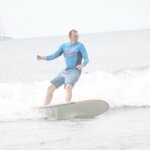 Thanks for the change in transportation to Tamarindo as the ride was awesome with the forst half hour on the beach and the most of the rest on backroads thru the countryside. 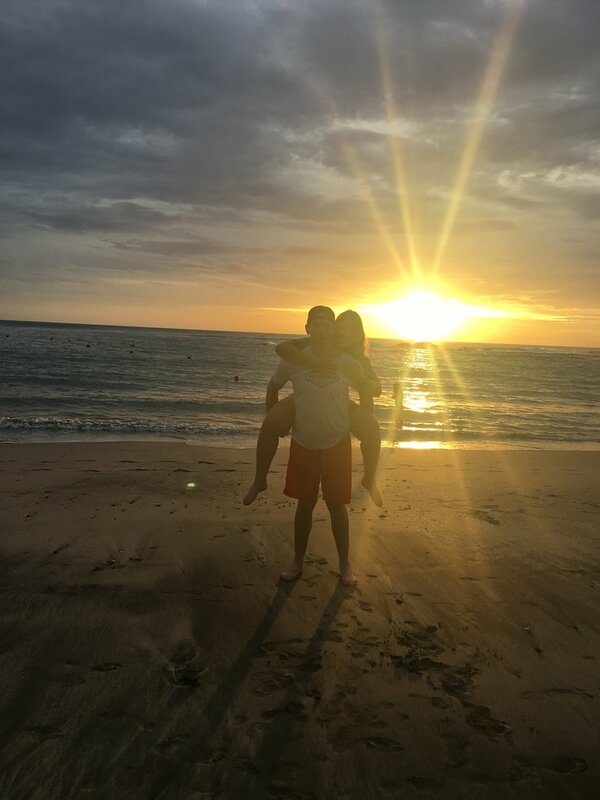 On reflection i would have stayed an extra day at Flor Blanca versus goign to Tamarindo which was too touristy for me but great for my 16 year old. Thanks for your help! 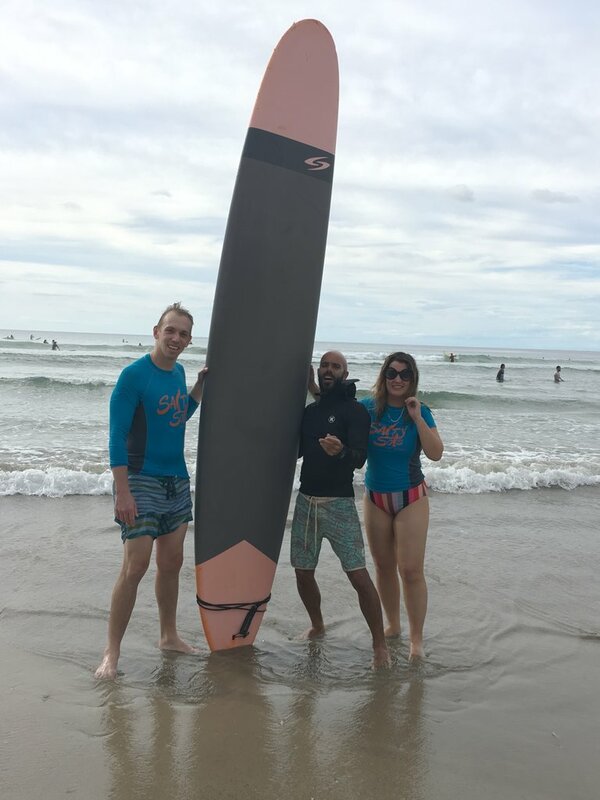 Happy to learn that you had a great surfing adventure in Costa Rica with your son and that he liked Tamarindo for more surfing!! Flor Blanca is a great resort and I knew that you will love it when I proposed it to you! 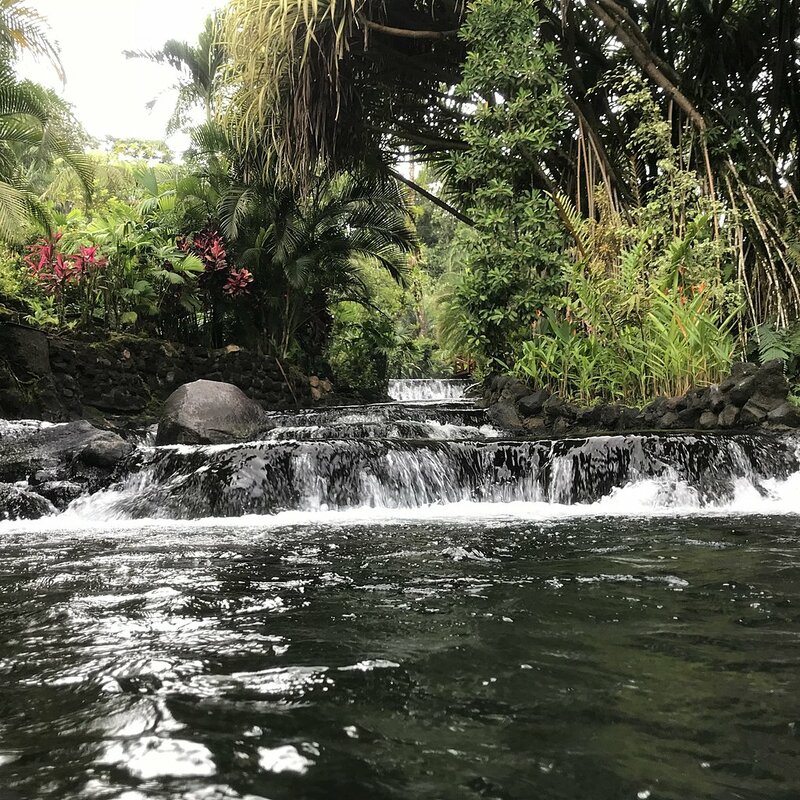 You have to come back to explore Costa Rica and explore other destinations such as the Arenal Volcano area and why not surfing down on the Caribbean coast! Sylvia was very patient and help us a lot with the tour. We had a great time and will use the service again in the future. 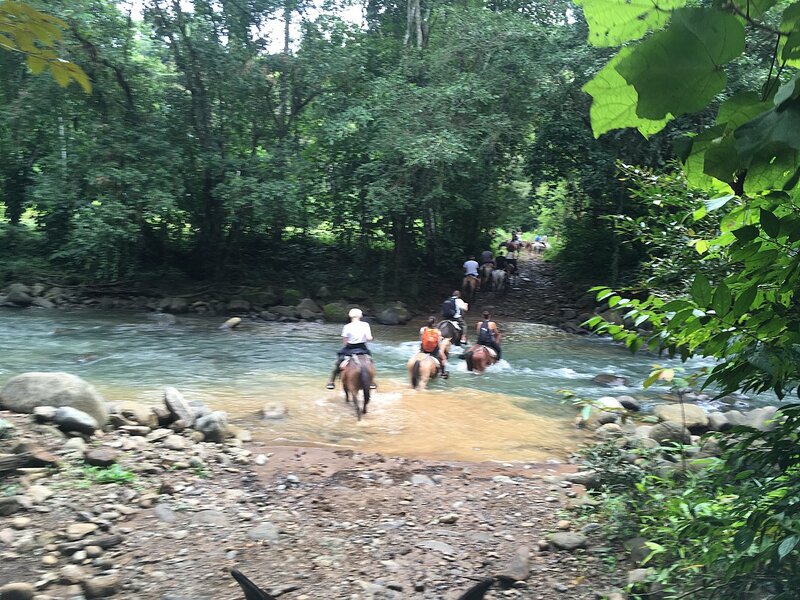 Thank you for your trip review and glad to learn that you had a great time in Costa Rica! Hope that you can come back soon and explore another exciting destinations that you missed this time! I would wholeheartedly recommend kim kim and particularly Sylvia Durado. My flight over to Costa Rica was delayed due to adverse weather conditions. Sylvia was a lifesaver, altering my booking accordingly. No stress, no hassle. 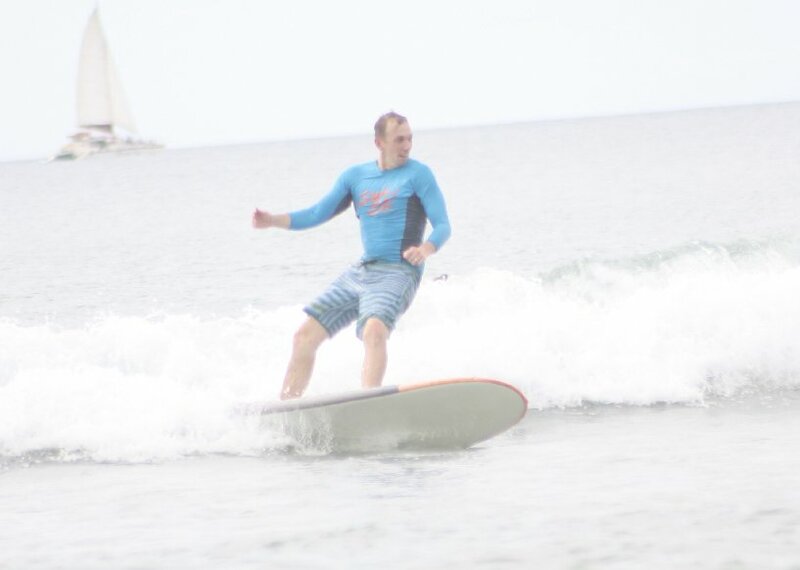 When i finally got to Costa Rica, everything was seamless! I had an amazing trip and I cant wait to return!! 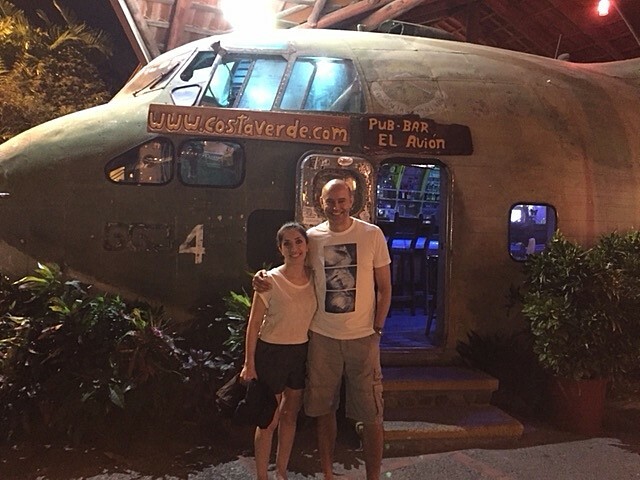 Thank you for your nice review and glad to know that you had a great trip in Costa Rica! I hope that you can come back soon , so you can explore the exhuberant Tortuguero that you missed due to your flight cancellation! A great time was had in a wonderful country. We travelled from San Jose to Tortuguero national park where all arranged tour were perfect. The lodge we stayed in was great with good food. From there we were transferred to Arenal where the accommodation was wonderful and all tours again were perfect. 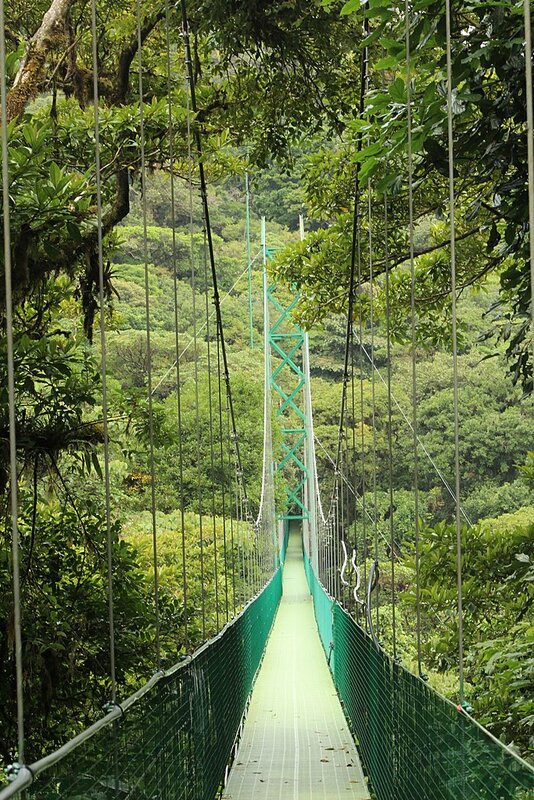 From there we went to Monteverde with swinging bridge and night walk tours and again it went perfectly. 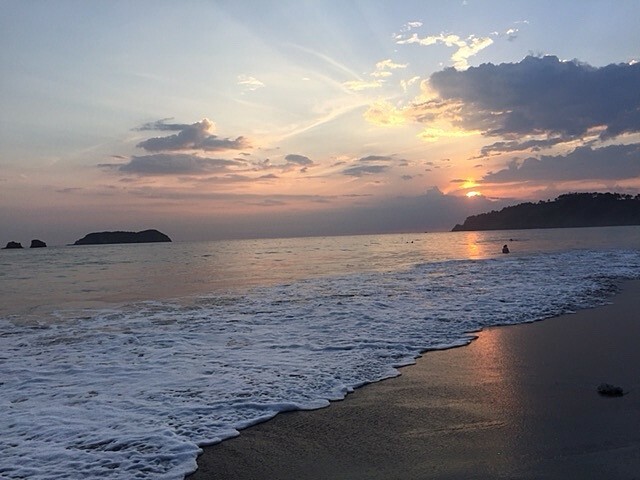 We then went to Playa Hermosa for our final 5 nights and had a lovely time relaxing in our hotel which was right on the beach. Couldn’t fault the wonderful job Sylvia did organising this trip everything ran extremely smoothly. Would highly recommend. 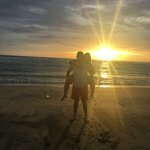 Thank you so much for your great travel review and glad to learn that you liked my suggested hotels and activities, and that everything runned smoothly during your stay in Costa Rica! Hope that you can come back in a near future and explore other amazing destinations that will be awaiting for you! Accomodation at Montechiari was very nice and the people were friendly with one exception. Management handled the exception very well. The hike into the Hule Lagoon was great, Andre was an excellent guide. He did at times seem to be in a bit of a rush. It was scheduled to be a four hour hike and we completed in just over three hours. The pace was manageable but not leisurely. It was just the two of us, great. The host family at the farm were wonderful and the food was awesome. The mountain biking was fun but we didn't get to see much and was not at the Volcano as expected. We rode out 16Km and stopped at the lake and were offered to ride back over the same route. We declined. Home by 10:20. It was a private tour with just the two of us, nice. The guides were very nice , especially Brian who was in training. 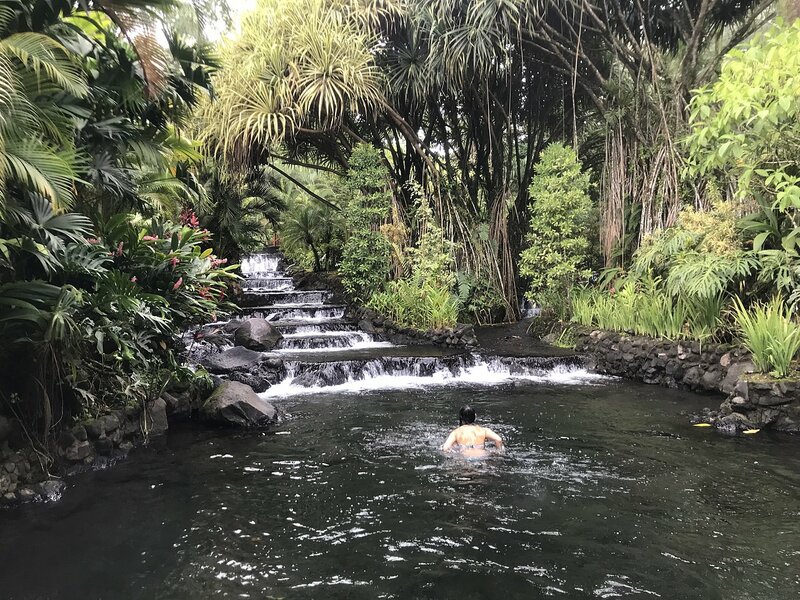 The Tabacon Hotsprings was nice. The meal was buffet style but the food was excellent. 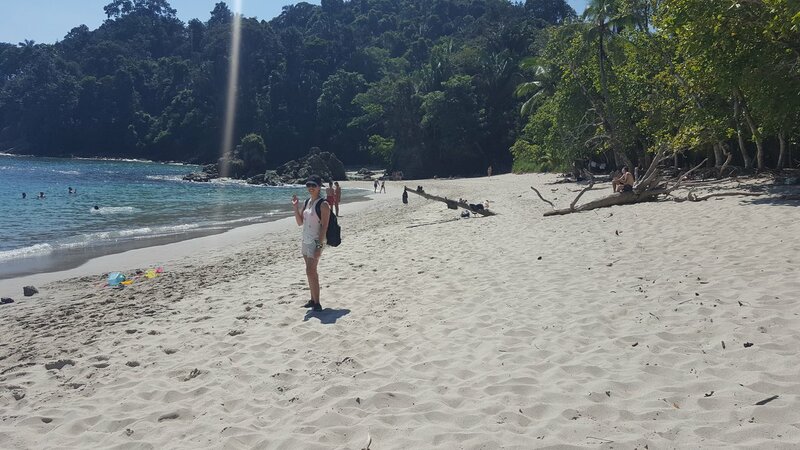 The guided tour at Manuel Antonio was a great experience overall and the guide was very knowledgeable. He also managed to get us out for lunch (I am diabetic) and back infor a swim on the same ticket .This was a large group of around 16 people so a bit unwieldy. 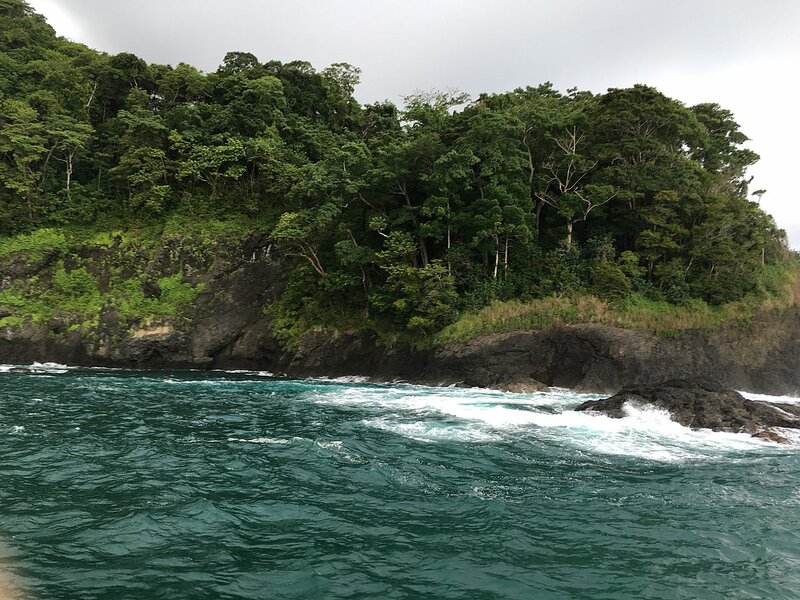 We had a private tour of Quepos and the Kids Saving the Rainforest with our guide William. William was an excellent guide, very knowledgeable. Overall Iguana tours was excellent. The accomodation at Tabulia Tree Hotel was quite nice and we were treated well. The kayaking and snorkling was fun with an excellent guide and nice lunch afterward. Monteverde was beautiful and the Fonda Vella Hotel was excellent. I believe we received a room upgrade as it was a very nice separate cabin. The hanging bridges tour was very pretty views with a knowledgeable naturalist guide and some interesting sightings. The coffee, cacao and sugar tour was enjoyable and informative. Bosque del Mar at Playa Hermosa was very relaxing and the staff were very friendly and helpful. A relaxing and enjoyable wind down. The evening cruise was fun with a nice group of people. The snorkelling was a disappointment as we saw very little. The trip was on a sailboat (OK but a catamaran was advertised. Good morning Bernie & Kathleen! Greetings from sunny Costa Rica! We appreciate taking your time in sending a detailed trip review. This will help us to check with our suppliers and improve my services as travel designer! I am happy to learn that you liked the hotels where you stayed, considering that this was a last minute request when hotels were fully booked due to the high season! Bernie, I was not aware that you are diabetic, as in advance we inform our suppliers so they can take special attention on your meals and special requirements. We will speak with Ecoterra regarding your hike to the Hule Lagoon and biking experience and review the descriptions in the itineary that I designed for you! My apologies that the biking experience was not what you had expected! But in overall, what I understood is that you enjoyed all the activities that were recommended. 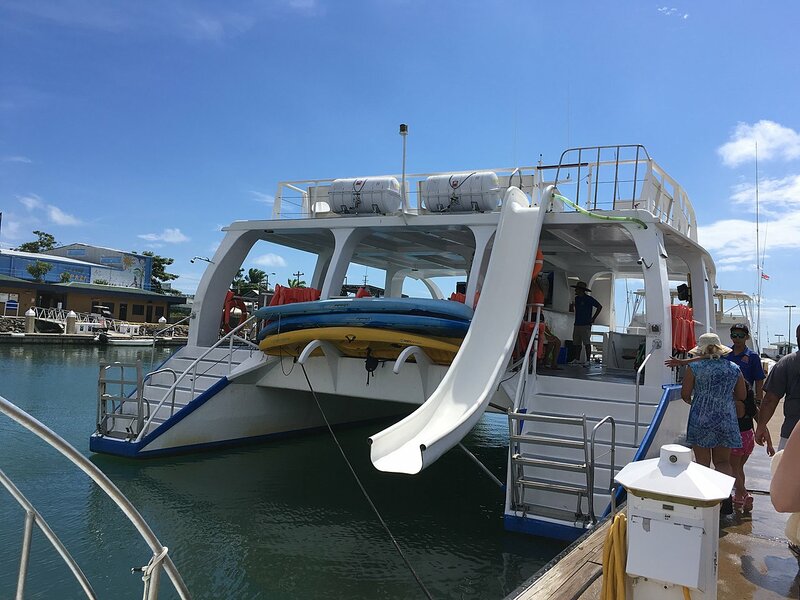 In regards to the evening cruise, our prefered supplier which is Marlin del Rey was not available on the dates that you were staying at Bosque del Mar, therefore we booked Kuna Vela which honestly I preferred as they handle smaller groups than the Catamaran with groups are more than 40 passengers. It was my fault not telling you that it was a sailboat not a catamaran! Snorkeling is unpredictable as depends on visibility of the day of the tour! Thank you for choosing kim kim and Horizontes and I hope that you can visit us again in a near future and explore other destinations such as the exhuberant rainforest of Tortuguero, the amazing beaches at our southern Caribbean Coast and the remote Corcovado with time to go snorkeling at Caño Island which is the best diving site in the country!